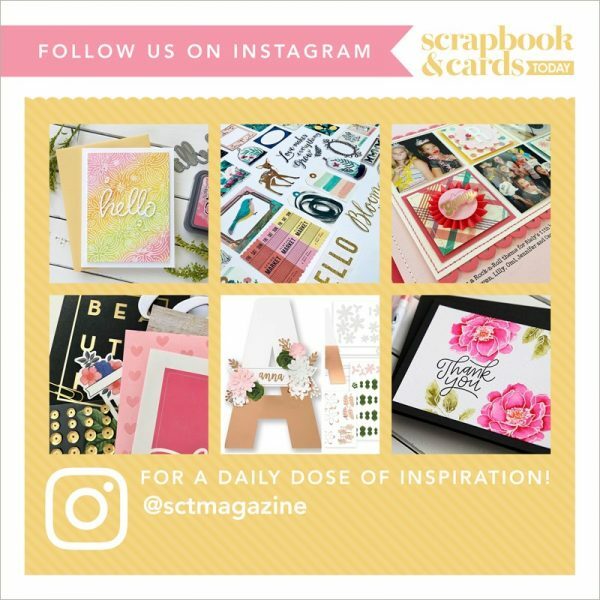 Finding different ways to make flowers has been a popular trend in scrapbooking lately. With that in mind, I wanted to share a floral technique to make rosettes on your layouts, just as I did on my “Fresh” layout for the Spring 2010 issue on page 43 (be sure to download this beautiful issue for FREE!). I had seen a table centerpiece on the web with these tight rosebuds and wanted to create something similar for my layout. As I was working on this project, I wasn’t happy with how my flower was looking, which then resulted in a happy accident that has turned into something I adore making. And, I wanted to share with you how these pretty little things came about! Trim a circle. I used circle punches for my flowers. You could also used a scallop circle. Take your scissors and trim a swirl around the perimeter a few times, getting smaller each time. You don’t need to draw a line first either. Just eyeball it and keep trimming. This is where the happiness happened. I rolled it up and wasn’t really happy with my flower. I thought it was far too tight and was far too dimensional for my page. And I was instantly in love. And then I made several more in different sizes…lol! When you are adhering, you can adjust it. You can hide the end with a brad or a button in the middle of your flower, just as I did on my layout.